Continuing our series on the new Porsche Factory Drivers for the upcoming season, we would like to introduce the latest addition to the Porsche Family: Laurens Vanthoor. Vanthoor was named at Porsche's 2016 annual Night of Champions, along with three of his new teammates. Laurens is joining the IMSA Weathertech Sports Car Championship, which will place the 25 year old at the wheel of the new 911 RSR. Like many young drivers Vanthoor began in Karting, clinching his first championship title in 2005 when he became the French and Belgian ICA-J class championship. Still in Karting, he attained his first factory drive in 2007 with CRG before moving into the German Formula 3 Championship for the 2008 and 2009 seasons, including a series title in 2009 with Signature. He moved to the Formula Three Euroseries for 2010 and 2011 with the Signature team. From 2012 through 2016 Laurens campaigned in GT cars with Audi. 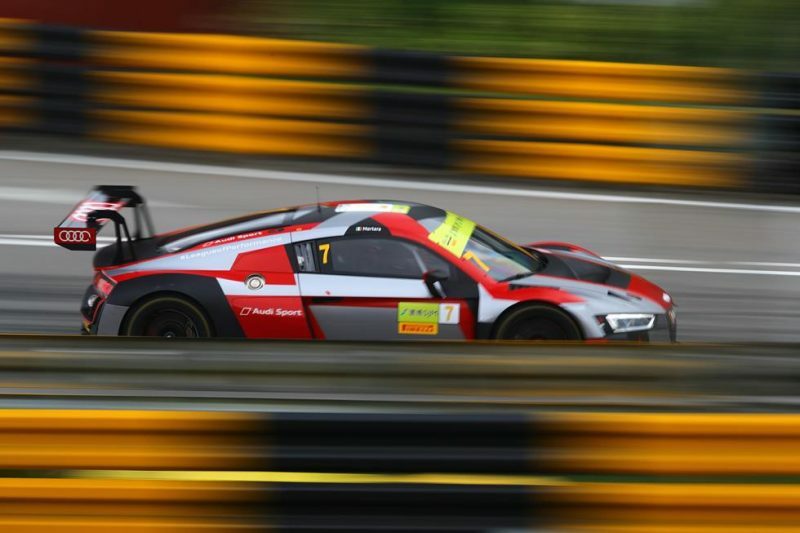 With the Belgian Audi Club Team WRT he proved a force to be reckoned with on the European GT circuit. In 2013 the championship fell to Vanthoor and his Audi R8 LMS Ultra, and in 2015 he won five races in nine entries. Vanthoor has proven that he can be very fast at a wide variety about circuits, though he has been extremely successful at Zolder in particular. At Zolder he has been on the podium six times in eight appearances in his GT career. Along with fellow Porsche Factory Driver Kevin Estre Vanthoor made his Le Mans debut in 2015 at the wheel of a Ligier-Honda. Though this effort ended in a DNF after 329 laps, his 2016 entry saw him claim a 14th place overall. Kevin Estre and Vanthoor will share the #912 Porsche 911 RSR in the 2017 IMSA Weathertech Series. We look forward to seeing him trade in his Audi colors for Porsche. Please join us in welcoming Laurens to the Porsche Factory Team! What Do You Think of this 356 Bodied Boxster Said to Be Built for Justin Bieber?